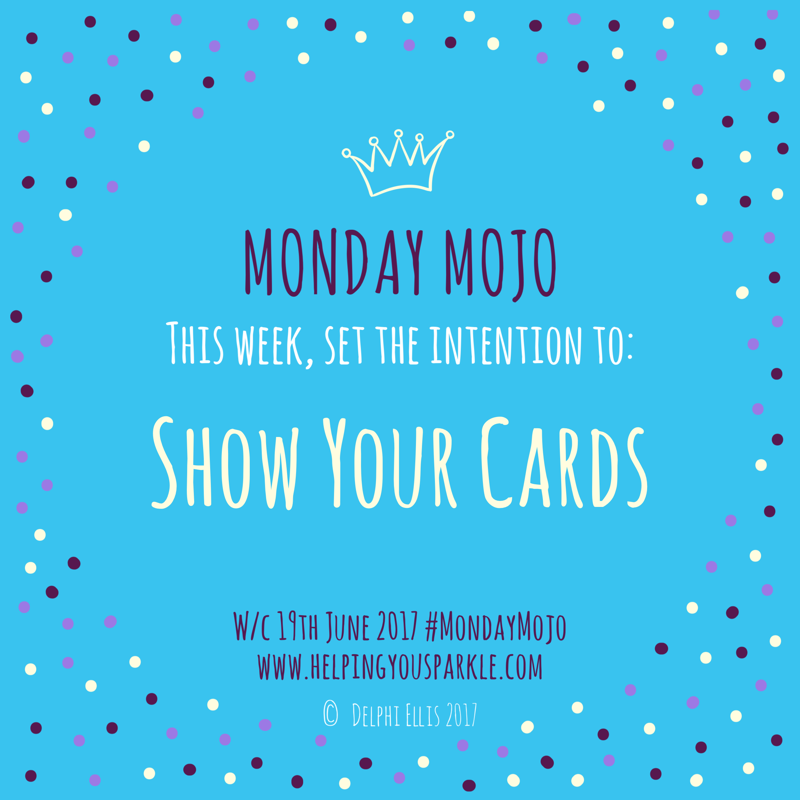 Monday Mojo – Feel-good motivation for the week ahead: Show Your Cards. There is a saying that we should keep our cards close to our chest. Often that means we should hide our intentions, feelings or actions from others. In a society that has an opinion on just about everything, it makes sense we would keep our next steps hidden from the world around us. The problem is that concealing anything can lead to problems with communication. Someone mistakes our behaviour as being sneaky or manipulative, which causes anxiety and becomes a difficult conversation to manage. Or you might be keeping a fabulous idea to yourself without acting on it, and that can leave you feeling stifled and depressed. It’s not always possible or easy to talk about what’s on our minds, and if someone else is the reason we feel we have to hide our next move, picking someone you can have a reasonable conversation with can help. This week, set the intention to show your cards. If you’re faced with a dilemma, stuck for which choice to make next or feeling under pressure to make decisions, talk it out with someone who is on your side. If you feel you can’t confide with a friend or family member, organisations that offer legal help (like the Citizens Advice Bureau) or talking therapies may be able to shed some light on the matter at hand. If you need to make a plan, there are free action plan templates in the Members Area when you subscribe. For expanded insight straight to your inbox, click here.